`Snowbelle' produces clusters of white, double blooms on a much more compact plant than the straight species. 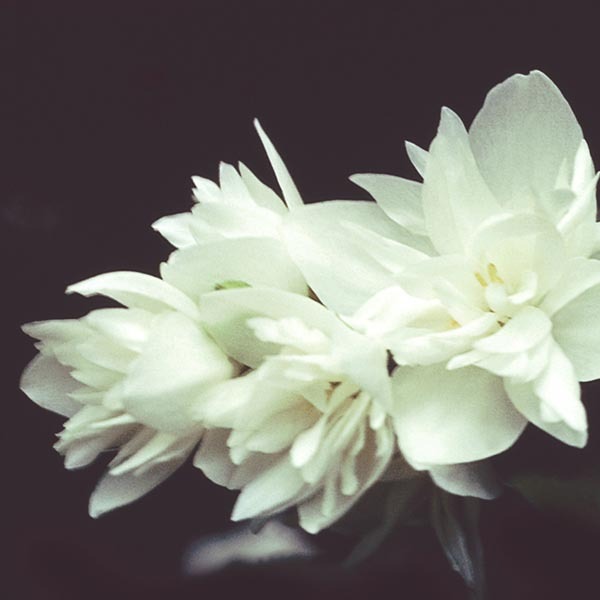 A sweet, orangey scent adds to its star status in spring and lush foliage makes this Mock Orange an excellent supporting player the rest of the garden season. Very easy to grow in virtually any location. Best in fertile, well-drained soil. Water regularly until established. Cut back after flowering to keep neat and compact.